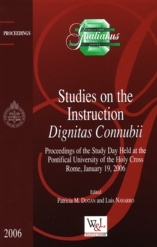 Studies on the Instruction Dignitas Connubii Proceedings of the Study Day Held at the Pontifical University of the Holy Cross Rome, January 19, 2006. Ed. Patricia M. Dugan and Luis Navarro. Montreal: Wilson & Lafleur Ltee, 2006, pages 91-113. 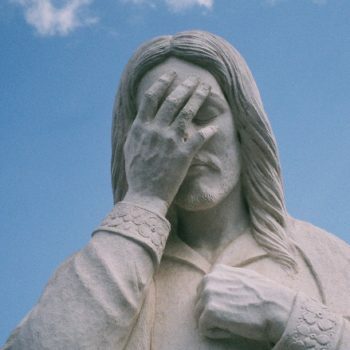 On the other hand, the preliminary determination of the scope of the controversy corresponds to a requirement to protect the rights of the parties, who are enabled to present and sustain their reasons more consciously. …On this point it is appropriate to remember that the caput nulli­atis established in the formulation of the doubt may be modified in he course of the suit by a new judicial decree, which moreover may not be issued ex officio, but always ad instantiam paths [at the request of a party] (c. 1514, confirmed by article 136 of the Dignitas connubii). The necessity of a petition by a party flows from the basic rule that only the spouses are authorized to present an action of nullity of their own marriage. Such an action is not intended in generic terms, but is also precisely identified by the causa petendi [cause of the peti­tion], by the reason on which the petition of nullity is based. It pertains only to the spouses, as holders of the action, to bring such a cause and determine the concrete modalities to indict the marriage itself. The judge may not supersede them in determining the reason on which the decision itself should be based; even if he were convinced he could better meet their interests in obtaining a declara­tion of nullity. Keeping firmly to this principle, the judge is undoubtedly acknowledged to have the power to interpret the petitions endorsed by each of the two spouses in strict juridic terms. Even more so if the petitions are presented in not strictly technical form, as may occur when the party does not avail itself of the services of an advocate, or of a juridical expert. This power of interpretation is recognized in the phase of determining the formulation of the doubt within whose limits the judge may undoubtedly modify the ground of nullity formally presented by the petitioner, in order to make it more faithful to the real occurrence and, if necessary, more in line with the juridical definition commonly followed by the jurisprudence. In this case there is no danger that the judge’s determination will overpower the wishes of the parties, because the modification has to be accepted, at least implicitly (by not exercising the right of opposition) by the interested party. In any case, whenever there might be the risk of an undue_ superimposition of.the judge’s determination on the expectation of the petitioner, in the definition of the ground of nullity, it seems more correct to delay the decision, in order to modify, with the agreement of the petitioner (and the possible concurrence of the respondent), the original formulation of the doubt in a way considered more adequate by the judicial college. This is even more so, because this solution does not involve disadvantages of particular importance or create serious delays in the procedure. $1735 remaining in the monthly goal. Otherwise, proactive outreach will slow way down after April 25 when I look for another job.